Jeff Krantz, Owner/Broker, CLHMS™, is the founder of Krantz and Associates and has been affiliated with Lake of the Ozarks for over 37 years. His parents owned Point Breeze Resort from 1969 to 1982, and remained second homeowners after that time. Jeff's love of the lake resulted in becoming a full time resident in 1990. Jeff has been in the Real Estate Industry since 1993 and has a background in accounting. Jeff enjoys the challenges of the Real Estate Industry and loves working with his wife, Melissa. Jeff and Melissa have three children, Kassy, Jacob and Zach. Jeff is confident that Krantz and Associates has the ability to assist first time home buyers, the luxury property owners, as well as experienced commercial investors. Melissa Krantz, Owner/Broker, CDPE®,Melissa has been aquainted with the Lake area since the late 1970s because her family vacationed here for years. She moved here permanently in 1994. Melissa has a background in Education and Restaurant/Hotel Management. She joined the Real Estate business with Jeff soon after he began his career in Real Estate. She specializes in the high-end luxury market, with a personal production of $19 million in 2014. She is an expert negotiator, as she has been involved in over 1,000 transactions. Melissa absolutely loves Real Estate because "It is a wonderful career that allows you to work with many wonderful people." Melissa also enjoys spending time with her family and her children, Kassy, Jacob and Zach. Gary Zeiger is originally from Red Bud, IL. His career was in Manufacturing, as an operations manager for a Lighting company in St. Louis. The responsibility was enormous along with the stress-filled corporate world. One of his last duties was to move the factory to Chicago. Once that was complete, he looked for a new career. He moved to the Lake in 2005, and started selling Real Estate. One of the best moves he has made. He started with Krantz & Associates, as he had a long term relationship with the family from Red Bud. This is his 10th year selling with the team, becoming very successful, with over 100 million in sales. He has two children. Matthew is in the Air Force stationed in New Mexico, and Kourtney is now married and living in Red Bud. He likes to travel and enjoys the beaches and warm weather. Gary has the experience and knowledge of the lake to take care of all your real estate needs, whether you are buying or selling. Sam Rhoades, Broker/Listing Specialist, has been selling Ozark property for 33 years. His real estate career began in Southern Missouri where he owned and operated a RE/MAX franchise. Sam is a graduate of the University of Missouri and avid fan of Tiger sports. He is married with one daughter, who is a doctor in Oklahoma. Hunting and spending time with his 4 Grandsons are his favorite activities. If you are looking for experienced guidance of selling in difficult times, then you will enjoy having Sam represent you. 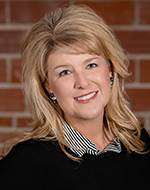 Jill Krantz, REALTOR® moved to the lake after graduating from Southern Illinois University of Edwardsville with a Bachelors Degree in Marketing. She began working at Krantz & Associates as the Closing Coordinator. As her enthusiasm for Real Estate grew, she realized she wanted to be out helping people find the perfect place to call home! Her husband Matt, builds homes at the lake, so Real Estate comes naturally to them. With her energy and drive she is the just the right person to help find property that fits you and your family! Marc Hammack REALTOR®, CDPE®, moved to the Lake of the Ozarks in the Spring of 2001 from the Kansas City area. Marc has 10 years of experience in the personal finance industry as a loan officer and over 20 years of experience as a carpenter and custom home builder. His background has enabled him to have a good understanding of the value of properties here at the lake from both a financial and quality of product aspect. Marc’s wife Gerry has been a realtor with RE/MAX for over 8 years, which gave him a front row seat to real estate activities and trends. You can be guaranteed that Marc will have your best interests at heart when helping you find a property at the lake. Susan Ebling, REALTOR®, ABR®, CRS, GRI®, is native to the Lake of the Ozarks and has been serving the public all of her life with roots stemming from the hospitality business at her family owned and operated restaurant and bar, The Topsider. After high school, Susan earned her BS in Education at MSU in Springfield, briefly taught 3rd grade and decided to pursue a Real Estate Career in 2000. 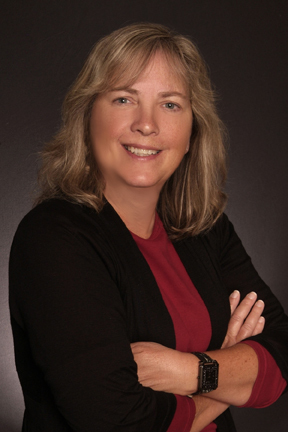 Susan brings enthusiasm, talent and experience to the Krantz Team. She is very committed to her clients and holds the ABR, CRS, and GRI Designations. Susan resides with her family in Osage Beach which includes her daughter, the light of her life, Alexandra. If you are looking for someone who has seen all the changes at the Lake since the time of a two lane Hwy 54, and has the energy and experience to help you successfully purchase or sell property at the Lake, then contact Susan today. Megan King, REALTOR®­­ is a 2011 graduate from the University of Missouri-Columbia with a Bachelor’s of Arts & Science degree in Psychology and Sociology, where she also received a Multicultural Certificate. She is a true Missouri Tiger, being born and raised in a small town located in northern Missouri where all of her family still calls home. Megan worked at Boone Hospital for four years throughout college, gaining professionalism, and pride in her job. She thrived off building relationships with people every day! 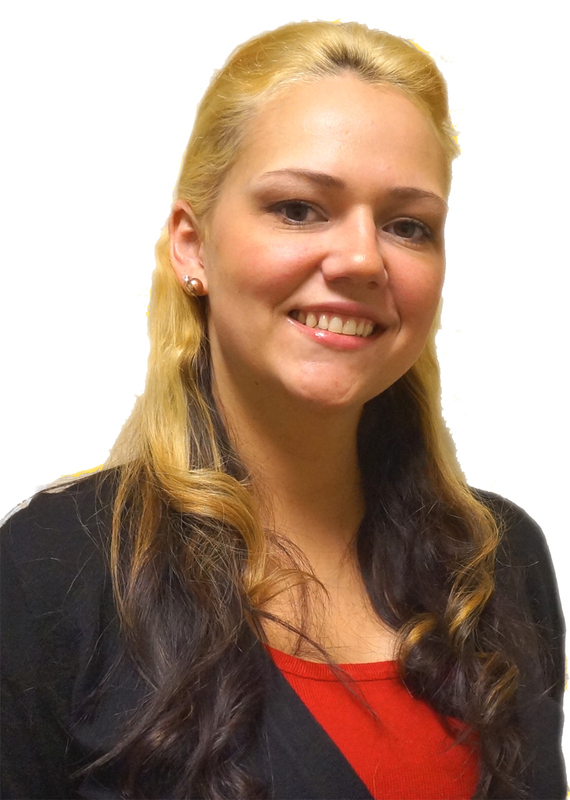 After college, she worked at Apria Healthcare as a Customer Specialist, helping new patients. Megan relocated to the Lake of the Ozarks in 2011, where her husband Mike resides. She has learned to love the lake and its natural beauty! With having a past in healthcare, and being able to meet and assist new people easily, she knew getting into real estate was the choice for her. After working as a Realtor Assistant to a top agent at the lake for two years and gaining real estate knowledge, she was ready to build her own career and decided to join Krantz & Associates. Megan is full of energy and passion for what she does. She takes pride in meeting new clients and finding their dream home here at the lake; because she truly feels living at the lake is living the dream! Danae Cooper has a Bachelor of Science degree in Business/Marketing from Missouri Southern State University. She is married to her best friend, Derek, and together they have six children. Before moving to the Lake area, Danae worked was a Key Account Sales Rep at Paramount Apparel working with clients such as Bass Pro Shops and G Loomis. After moving to the Lake area, Danae worked in Advertising Sales and five years in social media, helping small businesses create content and manage their social media platforms. She believes quality customer service is the key to building good business relationships. Carrie Case, Marketing & Design Coordinator, moved from Colorado with a background in marketing and graphic design, but has roots in the Lake area. She obtained her Bachelor’s Degree in Business Administration from Columbia College in Lake Ozark. She is responsible for the listings after Amanda enters the information into MLS and Agent Office. Carrie is responsible for our marketing plan and comprehensive advertising campaign. She enters and maintains the information in our websites, creates Virtual Tours, mailers and other marketing materials. She submits photos and the verbiage for print publications. Carrie is very talented and friendly. At any time you have questions about your property and how it's marketed, contact Carrie. Lisa Philipps, Office Manager comes to us with prior experience as an Office Manager and Administrative Assistant from the Education Industry, Central States Machinery, and Lucent Technologies. Lisa has earned a Bachelor of Science, from Southeast Missouri State University. Lisa and her husband Dave have been long time lake lovers, having a condo at Parkside Place since 2000. In 2012, they purchased a home in Horseshoe Bend and moved to the lake full time, from the St. Louis area. Lisa handles overall office operations, accounting, as well as agent and staff support. Elena Lambina, Listing & Closing Coordinator, moved to the lake in 2002 from Russia, and has a Bachelor's of Science from Columbia College with a major in Business Administration and Accounting. She is the lead processor on all of our listings, and is our closing coordinator. The processing of listings begins with Elena and it includes entering information into our MLS system, and coordinating with Carrie Case on marketing and the Client Services Department. She also provides our clients with feedback about showings and staying in communication with you. For closings, Elena takes over after we have an accepted contract and handles the entire myriad of details regarding the title work, inspections, deed, loan approval, appraisal, utility changes, moving dates and escrow. She will communicate with you throughout the entire closing process. Glenn Maas & Roger Dieckman, Client Services. Among their diverse responsibilities are new listing photography, document transport, sign maintenance and installation, lock box placement, and serving as a liaison between the customer and the team in completing tasks and meeting deadlines.